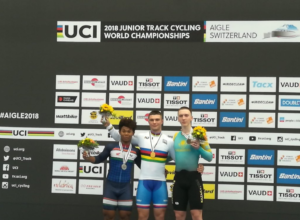 On Thursday night, Indian cyclist Esow Alben won India’s first ever junior cycling World Cup medal at the UCI Junior Track Cycling World Championships! Can you beat that? Esow finished second in the keirin event in Aigle, Switzerland. 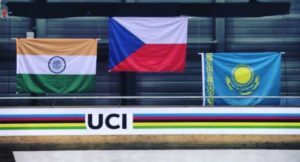 Such a proud moment for our Indian cycling community! The 17-year-old who hails from Andaman and Nicobar Islands put quite a tough fight for Czech Republic’s Jakub Stastny in the final sprint before settling for the silver medal. Kazakh cyclist Andrey Chugay won the bronze medal. Esow ended up finishing just 0.017 seconds behind gold medalist Stastny in the thrilling photo-finish of a race. In the first round, he had topped his heat with a 200m timing of 10.851 seconds. At just 17, this young lad became the world no 1 in junior sprint category after a sensational run in the Asian Championships and several other victories in this year. Esow trains in Delhi at the Sports Authority of India’s National Cycling Academy. The internet has been pouring in all their wishes and support for Esow. 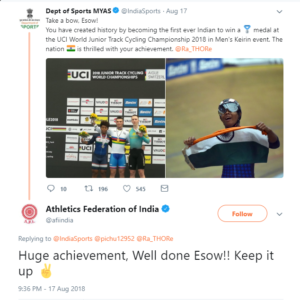 Sports Minister Rajyavardhan Singh Rathore congratulated Esow for his achievement. Esow isn’t the first cyclist from Andaman and Nicobar to bring international glory for India. Tsunami survivor Deborah Herold had put India on the cycling map before by reaching the world No. 4 ranking. Well, all we can say is, both of them have surely brought hope for all those who love this sport. We hope to see many more young cycling sensations in the near future.